Adventure, history, and the drama of school life intertwine in this engrossing tale of a fifth-grade boy struggling to find his place after his best friend abandons him. Find out what happens when Sam's class takes a trip to Mt. Vernon, where he accidentally buys a bossy three-cornered hat that sweeps him off to the eighteenth century and a warm friendship with George and Martha Washington. 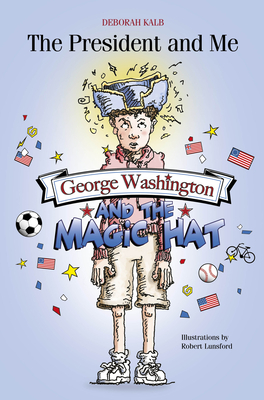 As Sam travels back and forth between his present-day life and incredible adventures with George Washington, he learns about history, himself, and the nature of friendship and families. Deborah Kalb is a freelance writer and editor in Washington, DC, and is the co-author of Haunting Legacy: Vietnam and the American Presidency from Ford to Obama.